Dental care is crucial for the overall health and wellbeing of your family. The dentist you choose plays a big part in that. A professional, friendly and local dentist with years of knowledge and experience can make dental health easy and stress-free. Unfortunately, however, there are many dental clinics out there that just don’t get this right. For this reason, it’s important to choose a dentist that you can trust and feel comfortable with. Dental care is not a one size fits all, and you should never have to settle for something that feels less than perfect. It can appear an easy option to select a preferred dentist from the CBHS provider list, but your number one priority should be quality. By choosing your preferred private clinic you’re giving yourself full control over your dental health, and providing your family with the best quality care. dhealth is a professional dental clinic that prides itself on superior dental treatments and support. Dr Anna and Dr Stefan Danylak have 30 years of experience and applies a unique holistic approach to all his patients. With modern facilities and the latest and most affordable techniques from around the world, our team ensures comfort and quality always come first. Cosmetic Dentistry: Dr Stefan Danylak is a cosmetic dentistry specialist. He uses the best new equipment and cosmetic treatments to bring the best out of your smile. General Dentistry: dhealth is the perfect family dentist for regular checkups through to emergency visits and more complex dental procedures. You can rely on us every time for all your dental health needs. Orthodontics: Dental problems such as crowded teeth, misaligned jaws and abnormal bites can be painful and cause lasting damage. Dr Danylak can assess, treat and create a superior treatment plan to restore your mouth back to full health. 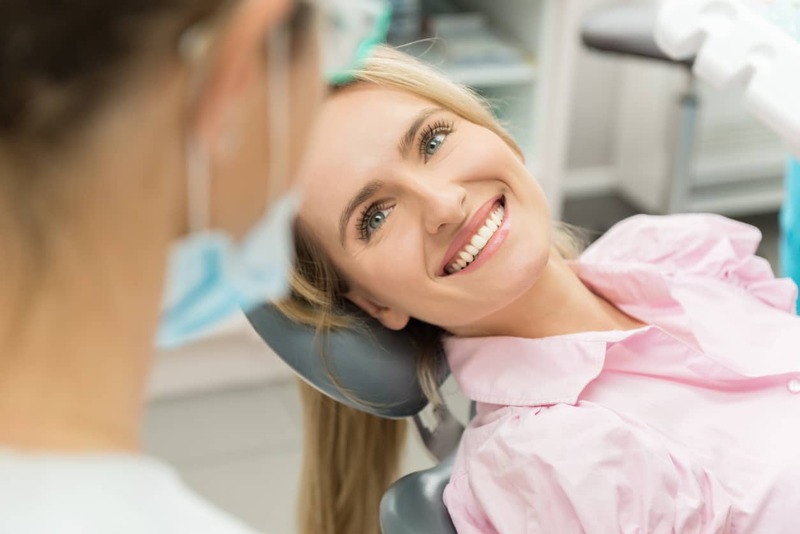 Gum Disease Treatment: Our clinic has the expertise to catch early onsets of gingivitis and periodontal disease, and uses modern procedures to prevent pain and protect your mouth from further issues for longer. Objective guidance and advice: dhealth is not affiliated with insurance providers or health bodies, so we can offer you the best unbiased dental advice for a healthier mouth. Years of experience: Dr Anna and Dr Stefan Danylak has been treating patients in the community for over 30 years. He knows how to guide you towards perfect dental health. Conveniently located: Our clinic can be found in the centre of Camberwell, easily accessible by public transport with nearby parking and shopping facilities. We make regular trips to the dentist simple and stress-free. Flexible pricing structure: High-quality dental health should be open to everyone. That’s why we take your wallet into consideration as well as your medical situation with every visit, so you leave happy with our service and our prices.